Today, in continental Europe, we remember the end of World War II. The German Bundestag commemorates the victims of the war in a quiet and devout mood. At 9 in the morning, historian Heinrich August Winkler as well as the president of the parliament, Norbert Lammert, give a speech. Besides some media coverage, there won’t be other official public events. Things will be a little different in Moscow tomorrow. Since in Russia it was already after midnight when Nazi Germany signed its capitulation in 1945, “Den Pobedy” or “Victory Day” is celebrated on May 9. If you’re in Russia, you read the word “Pobedy” quite a lot. One of my favorite parks which was close to my student dorm, when I spent a month in St Petersburg, was called “Park Pobedy”. It is part of the heroic myth about the “Great Patriotic War” the Soviets created to provide the USSR with a unifying narrative. 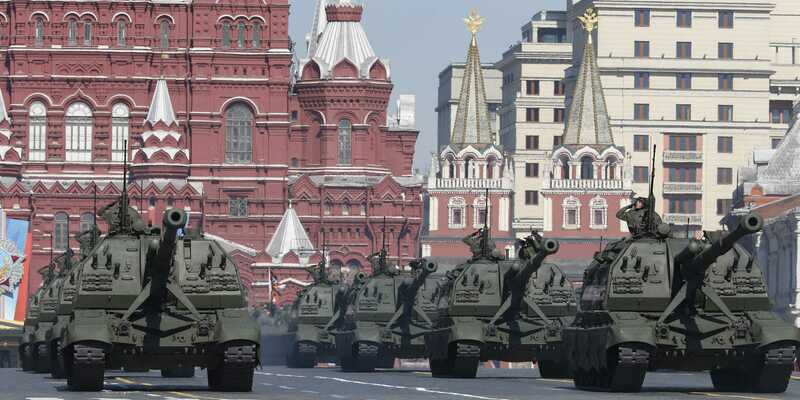 Traditionally, there is a huge military parade on Moscow’s red square and you can see veterans wearing their uniforms everywhere in the city. Although this day marks the victory over fascism, the particular way of celebrating always appeared strange to me. Why would you want to glorify your military and show the world its strength when you remember the end of a war and claim to celebrate peace? The pictures of “Den Pobedy” always remind me that the Soviet regime itself was a militaristic dictatorship that added more than four decades to the dark days of the 20th century. After 1991 the world had high hopes but nowadays it becomes clear that Russia is not willing to break with many of its old traditions. I support the decision of Angela Merkel and other western leaders to not attend this bizarre event (unlike they did a few years ago). The same kind of tanks which you’ll see on red square tomorrow are also deployed to Ukraine’s eastern border and, most likely, also used by the separatists in the Donbass region to fight a civil war. The 12 years of Hitler’s Germany marked the darkest time of human history. Its end is indeed a good reason for celebration. But what followed in many countries of Central and Eastern Europe wasn’t much better. If you ask me, this is no time for military parades. They are only an obscene mockery of what this day should actually be — a commemoration of the millions of lost lives and a symbol of peace. If Russia is unable to change its destructive culture of remembering it will never be able to overcome the shadows of the Soviet past. Instead of a Victory Day, on May 9 we should celebrate Europe Day, because this is a true project of peace!